If you have a job where you are driving a lot, chances are you have probably been in an accident with your company vehicle. Everyone is human and sometimes accidents happen. Unfortunately, it doesn’t matter how cautious you are because not everyone on the road is taking safety precautions. Whether you are involved in an accident that was caused by you or another party, there are steps you should take to resolve the issue. One job you might have where you are driving is being a garbage man/woman. 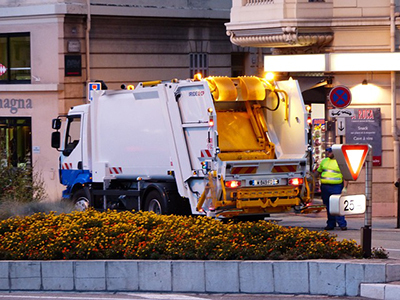 A garbage truck accident can happen at any time and it happens so fast, you may not even realize what is going on until the accident has occurred. Our Orlando truck accident lawyer at Payer Law Group discusses what to do if you are in an accident while driving a garbage truck. Driving a garbage truck is not always easy. Any job where you are driving puts you at risk, sometimes more than others. One of the riskiest times of the day to drive is during rush hour traffic hours. When cars are so close together on the road, an accident is bound to happen. Since the truck is larger than most cars, you may be more prone to accidents as opposed to a smaller car. A car may pull up in your blind spot while you are trying to switch lanes and just like that, you have crashed. There are other reasons that you may be in a garbage truck accident, whether it is your fault or not. Because the truck is so big, injuries to passengers and pedestrians can be very serious and may result in death. If a driver is negligent, an accident can occur but accidents can happen due to defective equipment and poor maintenance. In any garbage truck accident, you need to hire an experienced Orlando truck accident lawyer to assess the accident in its entirety. Always keep the truck properly inspected/maintained, that way if there are any issues, they can be diagnosed before you end up behind the wheel. Make sure your reverse alarm works. When you are backing up while you are driving house to house, you have to let the people behind you know that you are reversing or they might drive right into you. Make sure you know where your work partner is at all times. You do not want them to be in the way of the truck’s path, otherwise, you may cause injury to them. Communication is everything when you are operating a garbage truck. When you need an Orlando truck accident lawyer, do not hesitate to call the Payer Law Group. Garbage truck accidents happen and when they do, you need an experienced lawyer on your side. Call us at 407-648-1510 or visit our website! payerlawgroup.com. What To Do When A Bus Driver Hits A Child PedestrianWhat Happens If You Crash the Car You Are Test Driving?